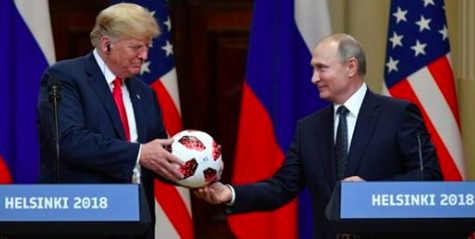 A few hours after the Helsinki summit, WPFA’s Flashpoints asked Ray to dissect the soft-coup-style attempt to sabotage Trump’s candidacy. Ray forecasts an early crisis in the (okay, unlikely) event that the House oversight committees stand fast and assert their Constitutional oversight prerogatives. ← Ray’s shortest interview (of 5) today: why Trump is well advised to cast a jaundiced eye on US intelligence, even as the NYT drinks freely from CIA Kool-Aid. An early ten minutes on AM 970/New York City with Joe Piscopo.